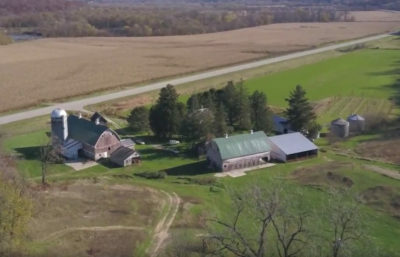 We are super grateful to have had the opportunity to work with John Willems to produce our farm’s very first promotional video! What started as a visit to our farm last fall turned into a winter-long collaboration between John and myself as we pieced together his incredible footage with an assortment of snapshots taken over the past year. Many thanks also goes out to our friends Quillan and Kim Roe of The Roe Family Singers, for the use of theirInvisible Dream, a perfect soundtrack to our farm. If you have not heard of this gem of a band, take a spin over to their band camp page. With April just around the corner, watching this gets me excited for green fields, long summer days, bountiful produce, full-color bouquets, and seeing all of you again in 2018!